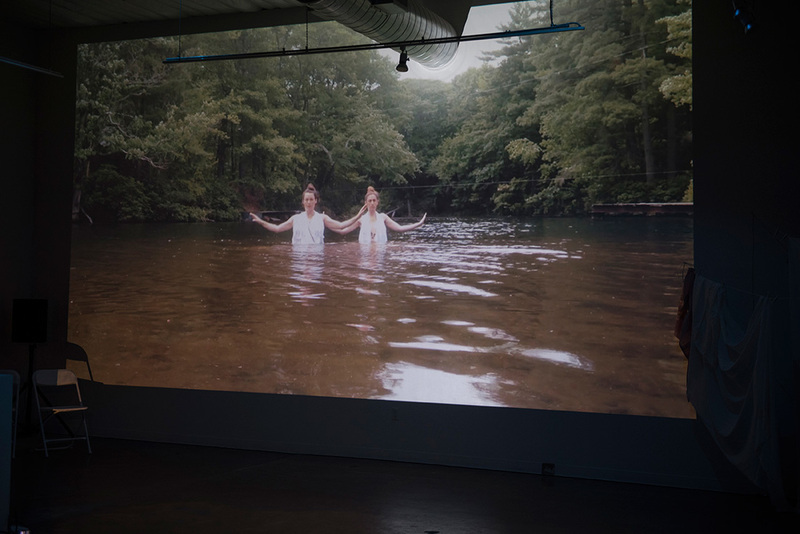 Allyson Lipkin and the Exchange Artists performed a 40 minute piece on a continuous loop from 7:30 - 10 with the theme of "internal terrene" at it's source. 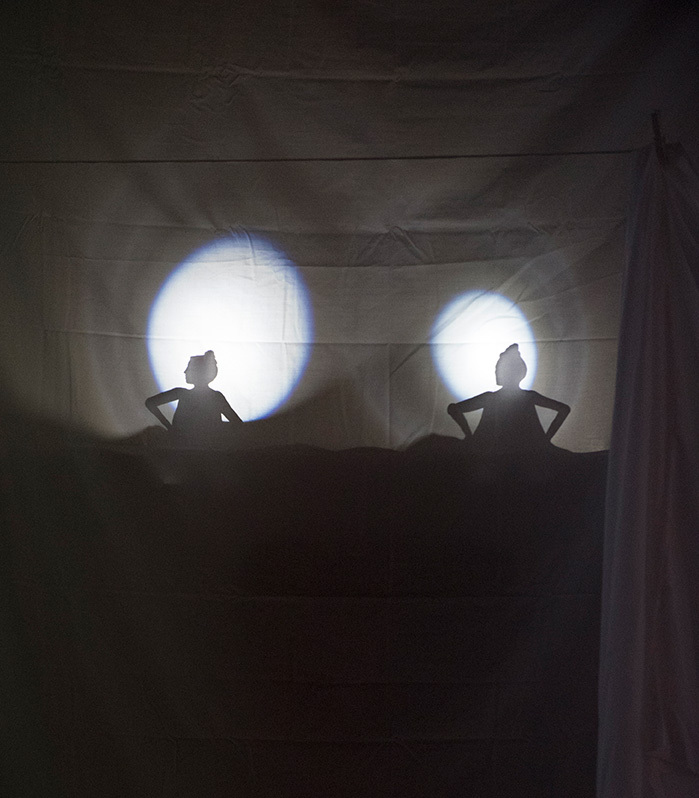 Lighting, projections, video, choreography and a live musical score was presented to the public. 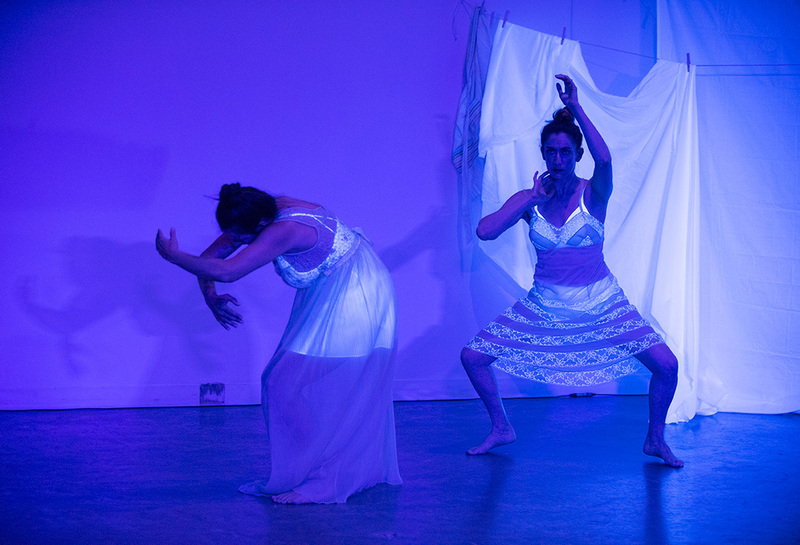 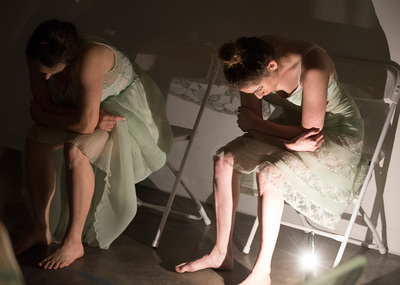 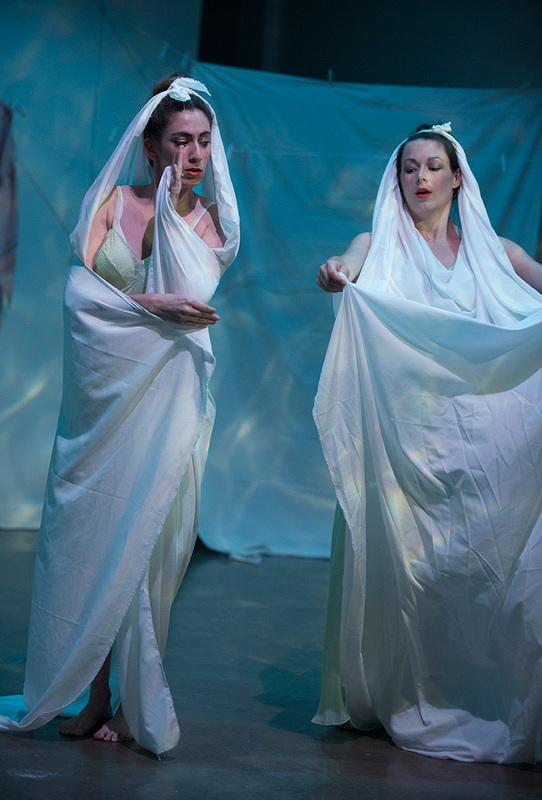 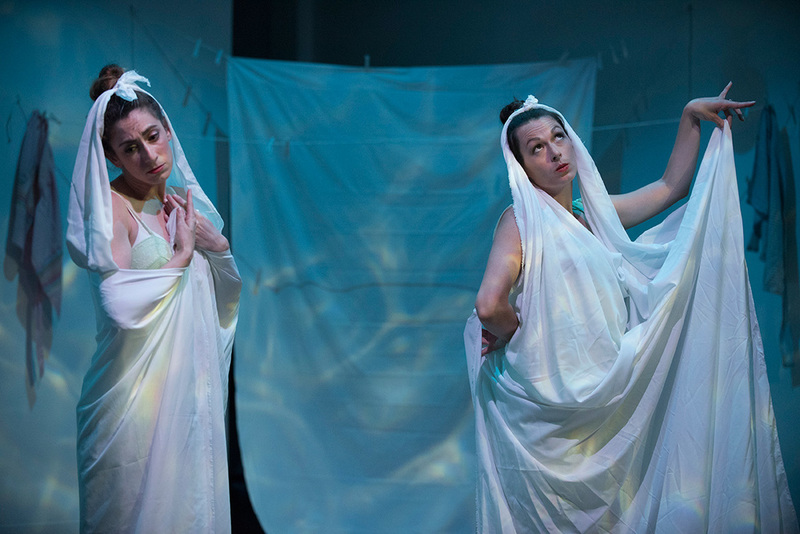 The Exchange Artists and Allyson Lipkin, aka DD Dagger, bring you Sacred Space Redux, a multimedia exhibit of sound, performance, and dance running Friday, Saturday, and Sunday, July 8, 9, and 10 between 8:15 and 10:00 pm. 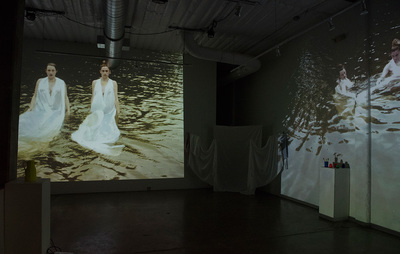 The exhibit can be visited at any point for any length of time between 7:30 and 10:00 pm at Big Medium Gallery, 916 Springdale Road, Austin, TX. 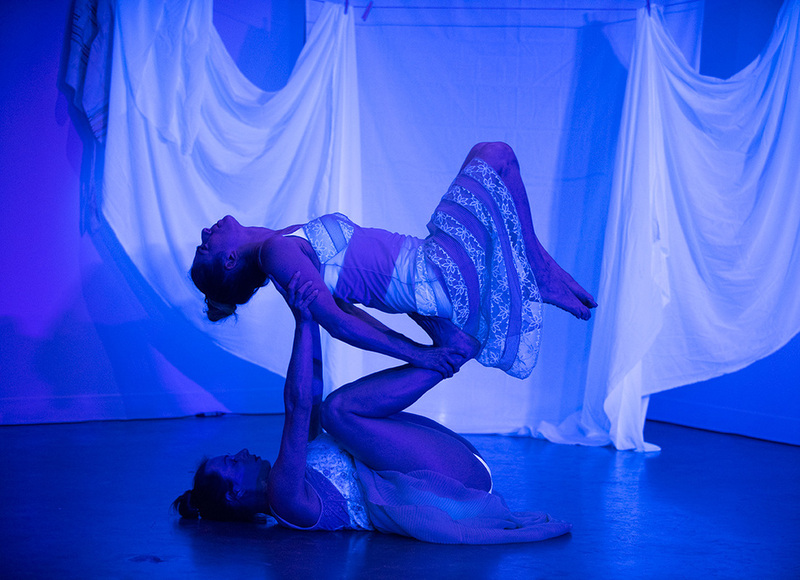 Sacred Space Redux explores all things internal. 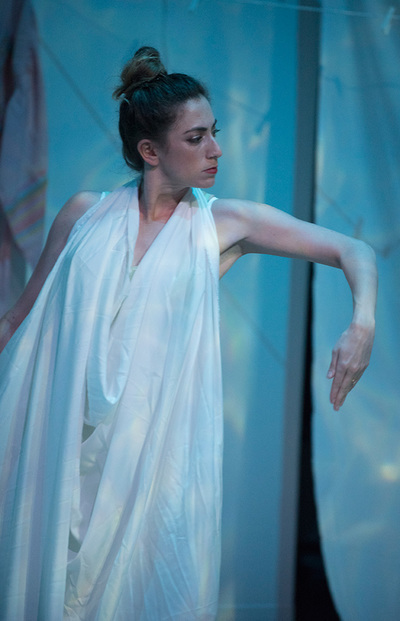 As a companion piece to 2015’s Sacred Space, an external journey of a modern pilgrim, Sacred Space Redux seeks to turn our attention inside, to the sacred spaces that we create for ourselves and to our very own bodies and minds. The multi-media exhibit will be open as an immersive sound and visual experience. Visitors are encouraged to pop in and pop out as they wish. 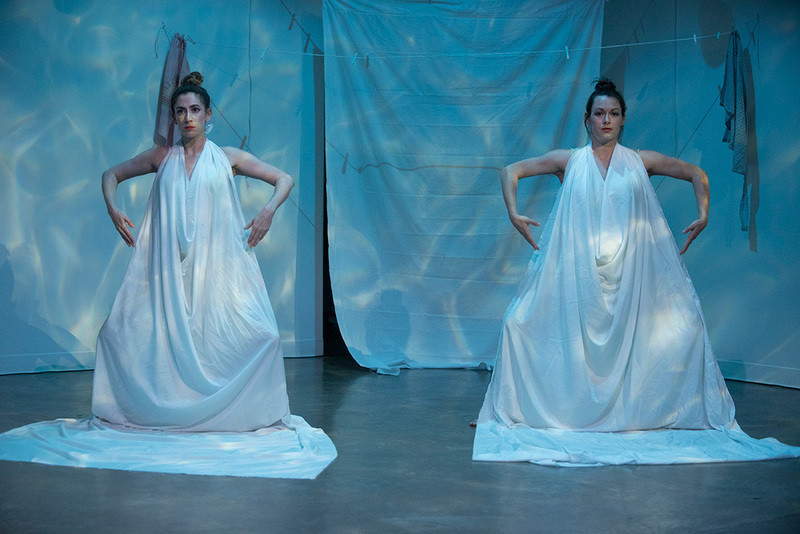 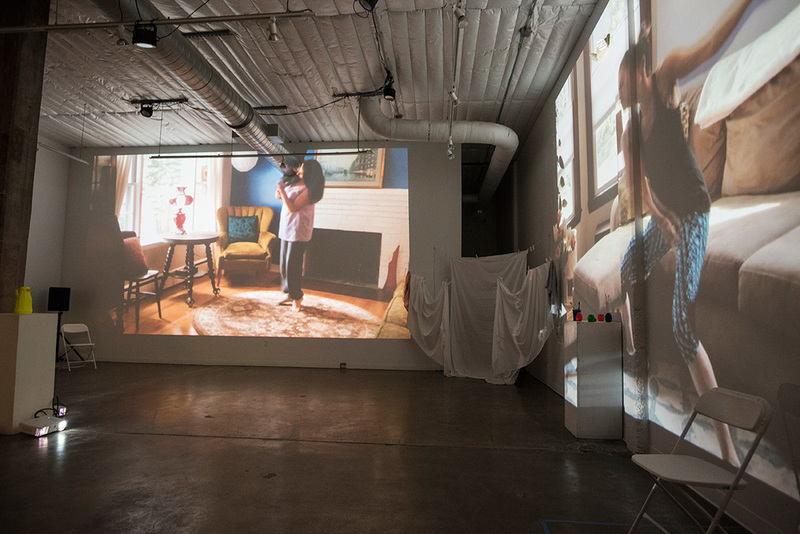 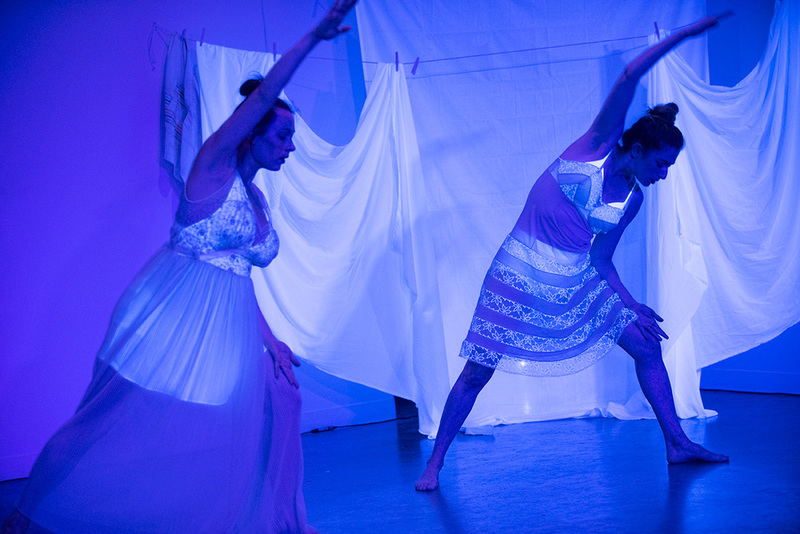 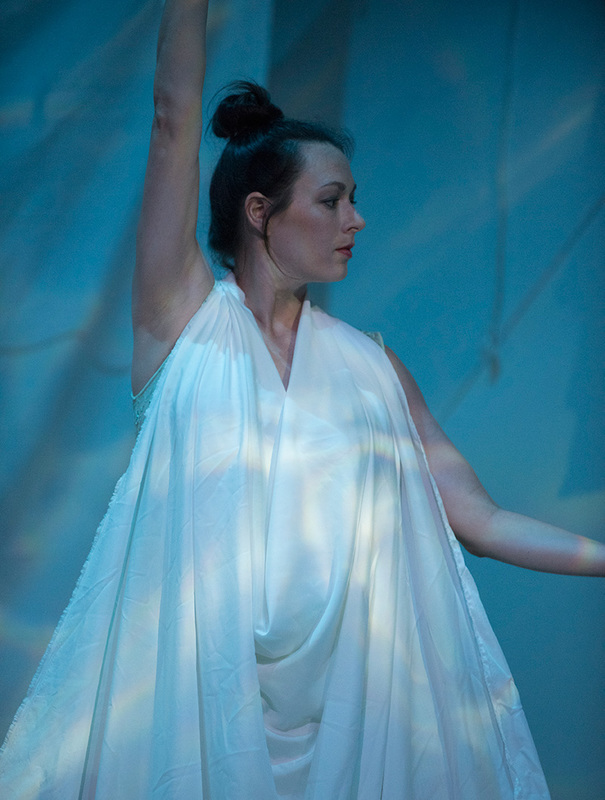 Sacred Space Redux features an original score and installation art by Allyson Lipkin, aka DD Dagger, with direction by Rachel Wiese of the Exchange Artists, and choreography by Rachel Wiese and Rebecca Lehrhoff-Joy. Performers are DD Dagger, Rachel Wiese, and Rebecca Lehrhoff-Joy. 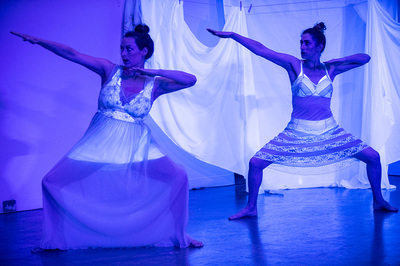 Sacred Space Redux allows a triad powerhouse of artists explore their unique talents through live performance. Rachel Wiese has directed, acted, and produced many theatrical and dance events as the leader of The Exchange Artists. 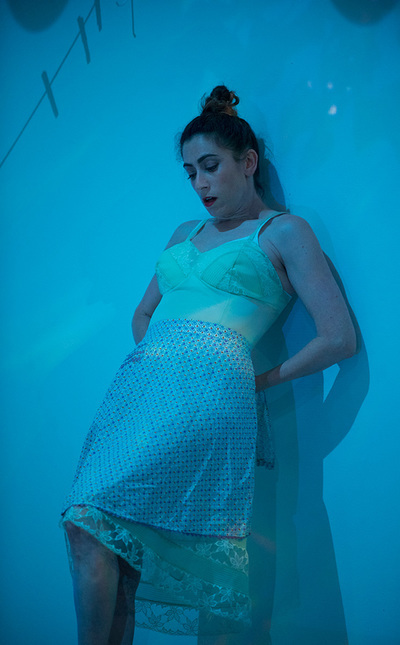 Rebecca Lehrhoff-Joy is a talented actor, set designer, director and visual artist. 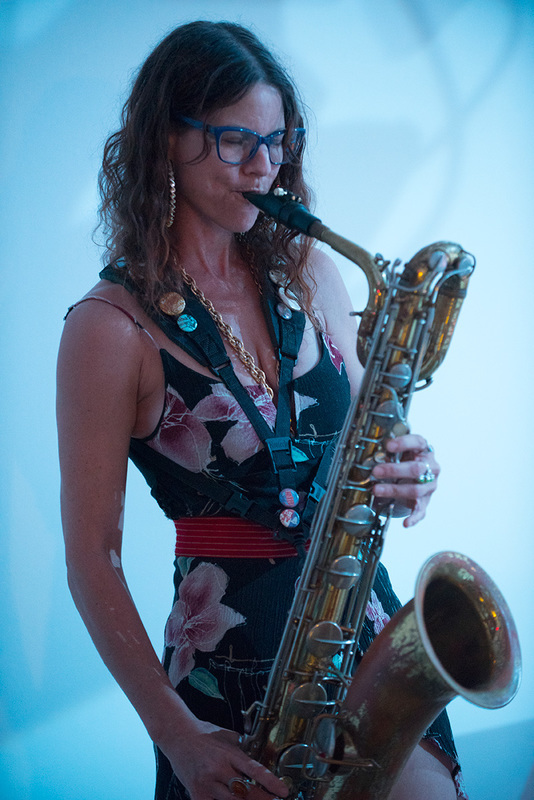 Allyson Lipkin is a musician, installation artist and visual and performance artists. Between the three they hope to connect, engage and provoke through the powers of art. 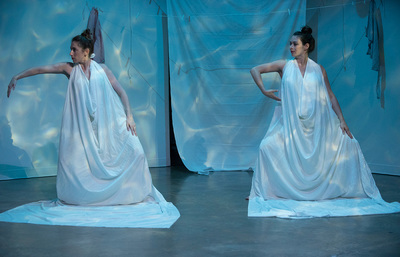 Please join this unique exhibit that is a one-time offering to the public: equal parts: performance art - live music - theater - and dance installation.